Creative professionals interested in working with Green River residents specifically to execute community-based projects are encouraged to apply in this category. Local residents have expressed interest in pop-up restaurants/meals, documentary projects, cooking classes, and creative-reuse workshops. Partners include the local thrift store, restaurants, the high school, and many community groups and clubs. Creative professionals experienced in community engagement are welcome to apply in this category. Artists will work with Epicenter’s staff members to activate the community through creative activities that will inform the development of new affordable housing in rural southeastern Utah. Possible activities/projects include documentation, meals, installations, performances, and more. Latinx artists and those fluent in Spanish are highly encouraged to apply. If you’re just getting started in your practice or are transitioning into a more community-based or collaborative practice, this is the category is for you. This will be a joint residency of multiple Fellows focused on a curriculum of professional development, including insight into Epicenter’s operations. Click here to view the pilot Emerging residency. Note: Applications are encouraged from all backgrounds. The Frontier Fellowship is family-friendly. Click the button below to download the application PDF. 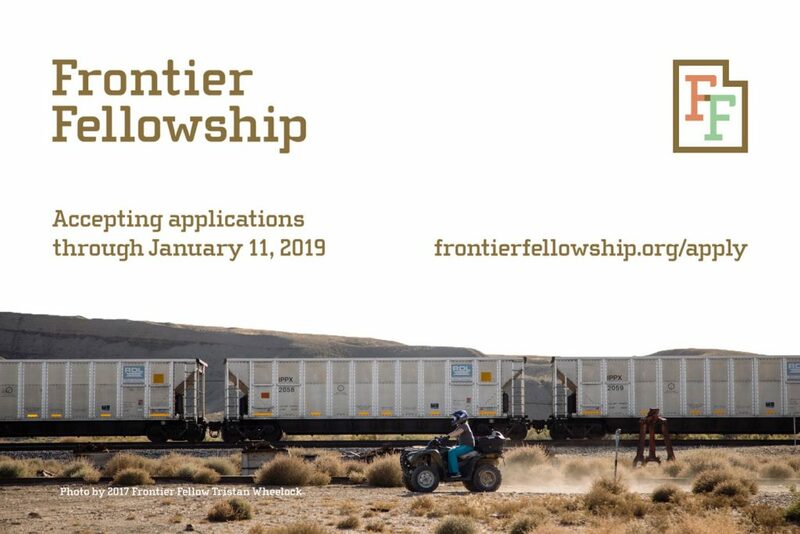 Follow the instructions within and mail in application to Epicenter by 9am MST January 11, 2019.